A pretty and practical addition to your tabletop display, the Thunder Group 1003AR Rose Sauce Dish 3-7/8" will bring classic Asian styling to your restaurant. This 3-ounce sauce dish will help highlight your delicious sauces, dressings and condiments, enhancing the dining experience for your customers or guests. 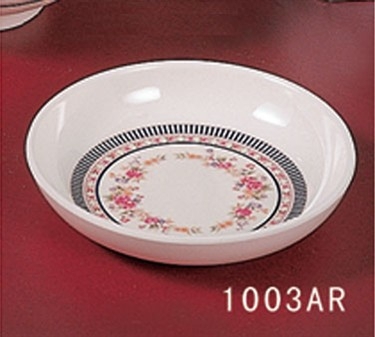 Featuring a multi-colored floral design on a pristine white background, this NSF-certified round sauce dish is dishwasher safe and highly resistant to breakage and food-related discoloration. It will hold up exceptionally well in your restaurant, catering hall or other commercial food establishment.